1. The cost of the modules built by the manufacturer and sold through a dealer. 2. 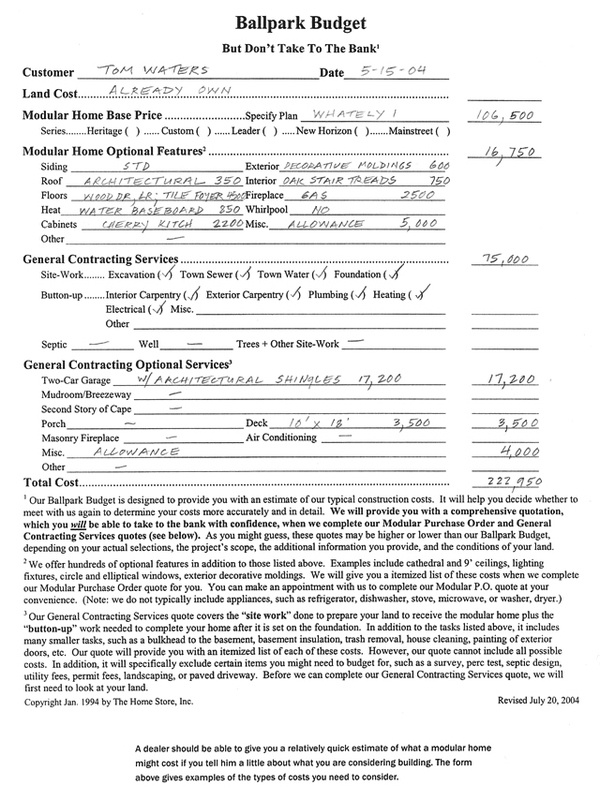 The cost of the on-site contracting work needed to turn the modules into a finished home. The cost of the modules is determined by the plan you choose and the features and specifications you select. The cost of the construction tasks needed to complete your modular home is governed by the amount and type of site work, “button-up” work, and site-built structures. Unfortunately, calculating the cost of a modular home completely and accurately is much harder than you might realize. It also takes competent modular dealers many hours to accomplish. And this is only after they have convinced you to spend a few meetings and many hours learning the options and making decisions. Since these estimating steps are required for all types of construction, it’s no coincidence that the construction industry is plagued by cost overruns and busted budgets. Many modular dealers attempt to get around this problem by providing a square foot price for their homes. You may even be tempted yourself to ask for this type of ballpark estimate, since you understandably want a quick way to winnow down your list of potential dealers. However, this is the wrong question, since the answer will not help you compare dealers. A “modular home price per square foot” is always misleading in part because the cost to build a home varies considerably depending on the design. For example, one-story homes are usually more expensive per square foot than two-story homes, if you keep everything else the same. This is mostly because a one-story home of any size requires twice the foundation and twice the roof as a two-story home with the same square footage. In addition, modular designs that require more on-site construction will usually cost more per square foot than designs that are almost completely built at the modular factory. The additional on-site construction will cost more per square foot than the part built at the factory. You might ask for a modular home price per square foot for a given style of house. But there are many types of each style of home. 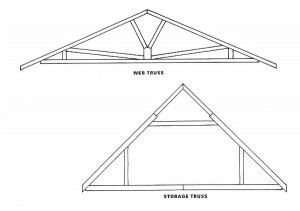 Compare a typical one-story ranch with a straight roof line to a large contemporary one-story with multiple rooflines and attic storage. 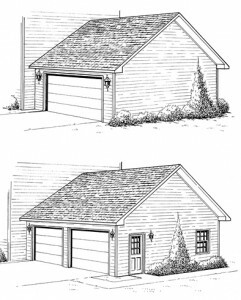 The second type of design is significantly more expensive to build. Also, larger homes for any given style cost less per square foot than smaller homes of the same style, since there are many costs that do not go up appreciably when you make the house bigger. For example, almost all homes have only one kitchen and heating system, both of which get spread out over more square feet in a larger home. You might try to avoid this problem when asking for a modular home price per square foot by being even more specific about the floor plan you prefer. But this will only work if the modular dealer has an idea what type of specifications you expect. You can add $10 to $100 per square foot to a home by upgrading from the fewest and least expensive features to a large number of expensive ones. For example, stained cedar siding costs much more than vinyl siding. Some imported tile floors are substantially more expensive than carpet. And granite countertops come at a much higher modular home price than laminate countertops. Yet none of these options affect the square footage of the house itself. In addition, a home with a masonry fireplace, whirlpool tub, and central air conditioning is more costly per square foot than one without these amenities, as is a home with a garage, porch, and deck. If you go through the entire house and upgrade every product and add amenities in this way, the price of the home and therefore the price per square foot will rise substantially. 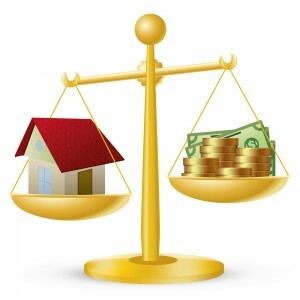 Site conditions can also significantly impact the square foot cost of a home. Installing a well and septic system, for example, usually costs substantially more than connecting to municipal water and sewer. So does building on a heavily wooded hilly lot with a winding 200-foot driveway compared to a flat lot with no trees and a 50-foot driveway. For these and other reasons, you can take most any floor plan and come up with a modular home price per square foot that will be meaningless unless you know exactly what you are getting. When a modular dealer gives you a price per square foot, you will not necessarily know what the home will ultimately cost you. Some dealers assume ideal circumstances when they generate a price per square foot. They are not lying about the price, even though you will likely pay more once they flush out the details with you. You can avoid this problem by learning the dealer’s assumptions and providing him with a specific floor plan, preferred building specifications, level of amenities, and the site conditions on your lot. Once you do this, however, you are no longer pricing your home per square foot. There is just no good reason to ask a dealer or any builder for this price. Competent modular dealers, however, can prepare a meaningful ballpark estimate in less than an hour if they know something about your floor plan, preferred building specifications, level of amenities, and actual site conditions. The more complete the information, the more accurate their modular home price is likely to be. Since it will be an estimated price, it will be missing most of the specific details that go into a modular home. The dealers will try to account for these details in their ballpark estimate by making some assumptions. You should ask them to explain these pricing assumptions and how their estimates will change if their assumptions prove incorrect. The dealers’ assumptions, for example, may include the use of one of their standard floor plans as a starting point. The dealers may provide an allowance for optional features of a certain amount, or they may itemize an estimate for several of the more popular options you show an interest in, such as upgraded kitchen cabinets and a hardwood floors in the living room and dining room. If the dealers are including a ballpark estimate for the services of a general contractor (GC), which they should do even if they do not provide those services, they should explain these assumptions as well. For example, they may assume that the property has municipal water and sewer along with overhead electric, all of which could change when the building lot is purchased. Their estimates for the GC should also include any site-built structures that are being considered, such as a garage, porch, or deck. A modular dealer can prepare a ballpark for your modular home price in less than an hour if they know something about your floor plan, building specifications, amenities, and site conditions. After receiving your ballpark estimates and selecting your modular dealer finalists, the next step is to solicit a detailed written estimate from each so you can complete an apples-for-apples comparison. If you are like most customers, you won’t have finalized your selection of a house plan and set of specifications when you requested the ballpark quotes. If so, you will first need to determine these and present them to each of the candidates. When deciding your preferred building specifications, you will likely find that each modular dealer offers a few different standard specifications and optional features. Your job will be to make them comparable. Once all of the dealers receive equivalent plans and specifications, they will be in a position to complete their written estimates. After you receive the dealer’s estimates, evaluate each one alone and then in comparison with the others. Make sure that each modular dealer used the correct house plan; the estimate should specifically reference the plan by style and dimension. Ideally, a copy of the plan will be attached. 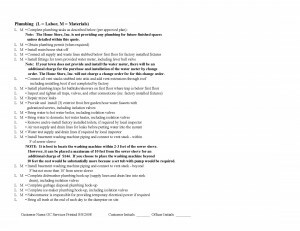 Having this verification will prevent you from considering an estimate that was completed on the wrong house plan. This mistake can happen when you are considering two different plans with the dealer and he confuses them. The total modular home price for each estimate should include a base price and a subtotal of the optional prices. The base price should cover the standard specifications for your house plan, and the optional prices should include the upgrades you select. You may find the costs for applicable taxes, delivery, crane, and set included in the base price or itemized separately. Since these costs will total thousands of dollars, be sure they are specified in writing in one place or the other. When reviewing the specifications included in an estimate, customers tend to pay more attention to the optional upgraded specifications that incur an additional price than to the standard specifications included in the base price. This is understandable, since the optional prices are itemized and readily identified for closer scrutiny; they are also discretionary and easily eliminated for budgetary purposes. But if you are going to make a true comparison between estimates, you need to compare all specifications, whether included as standard or optional. This is particularly true when two or more estimates offer a similar price and you have upgraded only a couple of items. For instance, if you have limited your upgrades to architectural shingles and a better grade of carpet in the living room with three dealers and two of them have a similar total modular home price, you may think there are no substantial differences in price between the two. But if one modular dealer includes a steeper roof and nicer cabinets in his standard specifications, he is offering the better value. The only way you will notice this, however, is to read which specifications are included for no charge as well as which cost additional. In other words, equal prices do not necessarily mean equal value. It is also why your bottom line is not just the total price. Like all other consumer products, you need to learn what you are getting to understand who has the better value. After reviewing the estimates, ask the best candidates to revise their proposals as necessary so you have comparable estimates. With the corrections in hand, weigh the price differences between companies against any differences in their specifications and floor plans. Factor in the information you collected about the craftsmanship and customer service of the respective dealers. When one dealer’s estimate is significantly lower than another’s, ask the higher-priced modular dealer to explain and justify his higher price. If there are two or more higher-priced dealers, take your questions to each of them. This way you can obtain the assistance of two or more modular home professionals in evaluating the lower-priced competitor’s proposal, and if that proposal is a worthy competitor, you will motivate the more expensive dealers to consider some concessions. If trying to get a higher-priced modular dealer to make price concessions, be prepared to convince them that a competitor’s offer is equivalent in features and service. Few competitors will take your word for it, just as you will not take the word of everything said to you by the various dealers and GCs you consider. Show the dealer the competitor’s written estimate. The more expensive dealer might be able to demonstrate that the low-priced competitor’s proposal is inferior to his. You may be disappointed to learn this, since it will remove the incentive for him to lower his modular home price, but it will help you accomplish your ultimate goal: to get the best value, which is a combination of price, features, and service, and not just the cheapest price. What do you do if the more expensive dealers tell you that they cannot match the lower modular home price and stay in business? Most professional consultants suggest that you ignore the lowest estimate, if it is substantially lower, on the assumption that something is wrong with it, even if you cannot yet identify what it is. In most cases, you will receive inferior craftsmanship and customer service, and you will pay for these for years to come. If you receive only two estimates, however, you will not know with confidence if the lower one is fair. That is why you should try to get at least three estimates. One explanation for a below-market price is that the modular dealer has not earned a reputation that merits normal profits. Since he still needs to make a living, he may limit his time selling modular homes so that he can earn his primary income from another job, or he may increase his sales volume. Either strategy may enable him to compensate for his low unit profit margins, but both can create problems for his customers. A dealer who sells homes on a part-time basis will only be available to service customers part-time. This may not be as big a problem during the shopping phase as it could become after delivery. When the GC has a problem, he may be unable to wait for the dealer to respond to him. When you have a warranty problem after you move in, you will not want to wait for his attention. A modular dealer who cranks up the sales volume in an attempt to compensate for minuscule profit margins may not be able to afford support staff. A dealer without a support staff will quickly become overextended in trying to help multiple customers. Perhaps more importantly, this kind of dealer may not have the financial resources to help a customer with an expensive warranty problem. If he has a financial setback, he may not have the cash reserves to remain in business. Customers should be cautious about giving a deposit to a dealer who is in danger of going out of business. Some modular dealers are able to sell their homes at below-market prices by purchasing them from the manufacturer that is offering the lowest price at the time. Although this can occasionally be a good business practice, it can cause problems for the customer. For example, if a manufacturer is selling a modular home at a desperately low price because it has few sales, it may not offer good craftsmanship. Since every dollar the manufacturer saves on labor is another dollar it can use to pay its bills, it may be compelled to lay off skilled workers and supervisors. A customer may need to visit the factory under these circumstances to see first-hand the current level of quality. Finally, a manufacturer in this financial situation poses a risk to both the customer and the dealer once the dealer sends the customer’s deposit to this financially struggling manufacturer. On the other hand, a modular dealer and manufacturer who insist on maintaining a comfortable profit margin are companies that are more likely to be in business for a long time. A dealer and manufacturer who stay in business will be able to stand behind their work and care about their reputations. No reputable dealer or manufacturer is going to sell a home for less than it has to. Dealers and manufacturers who offer bottom-of-the-barrel prices usually have a reason for doing so that will not benefit customers in the long run. For GC candidates to provide a written estimate, they will need to know your house design, the construction tasks required to build your home (the scope of work), and the building specifications you want the GC to use when completing each task. Most customers will be unable to produce these before meeting with the GC candidates, since it requires that they already know a lot about construction. If you have no prior experience with home building, use your meetings with the GC candidates to obtain an education. Enter meetings with a general sense of what you want, a partial set of drawings, and a list of specifications that are important to you. Present this information as best you can, and encourage each candidate to ask you enough clarifying questions to create their own list of tasks, specifications, and plans. Instruct the candidates to make their estimates as detailed as possible. The list of specifications should include the type and quality of materials, the construction standards, and itemized pricing, where possible. The detailed specifications and prices will enable you to compare estimates more easily, and, if you are over budget, to omit individual items. Also, ask the candidates to indicate all of the tasks that need to be done that they are not doing. This may seem like an odd suggestion, but there are often several tasks that some GCs will not handle. You might need an engineered septic design, for example, or have landscaping needs that a GC is unable to perform. 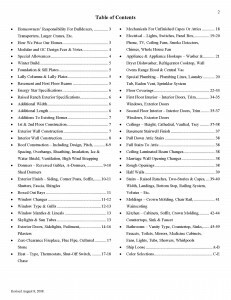 Tasks that are necessary for your house that the GCs will not be taking care of should be listed as such in their estimates. This will eliminate a possible misunderstanding about who is assuming the responsibility. For each excluded task, you will need to secure the services on your own, including obtaining competitive bids and arranging for the work to be done. All GC candidates should also list those tasks that they are not including that might (or might not) need to be done, depending on what is discovered during the construction process. If, for example, high groundwater was not anticipated but then is discovered when the foundation hole is dug, the GCs may need to raise the foundation above the water table, which will require them to bring in additional fill to backfill around the foundation. Good GCs will use their professional experience to tell you when this possibility applies to your situation, and they will specify the possibility in writing. You should discuss with the GCs whether or not you should set aside funds to cover any of the tasks that they exclude from their estimates. If any of the GCs are unwilling to include in their estimate a complete list of construction tasks, building specifications, and excluded work, you will either need to seek other candidates or create the list yourself. To ensure a timely response, ask the GCs to commit to a deadline for completing the estimate, and then contact them halfway to the deadline to ask if they have any questions and remind them of the agreed-upon date. Although using “allowances” is a reasonable practice, you should limit their use. GCs will sometimes use allowances when they have not yet finalized the specifications for a particular task. Sometimes it is because you have not made a final decision. Other times it is because the costs cannot be known in advance, such as what it will cost to drill a well when there is no good way to anticipate the final depth. In all of these circumstances, the GCs will allocate a sum of money for the task instead of giving you a fixed price. This allowance can be for the cost of the materials, the labor, or both. The final cost is either determined by what you subsequently select or by the actual cost to complete the task. The difficulty with allowances is that they put you at risk for not being able to get what you want without spending a lot more money than has been budgeted and approved by your lender. The best way to avoid these cost overruns is to limit their use to items that cannot be priced in advance, such as a well. For other items, you should take the time to shop for them before signing a contract. It is not uncommon for one GC to offer an estimate that is significantly lower than the others for what seems to be the same scope of work and specifications. While it might be tempting to jump at the low estimate, it may also be a big mistake. GCs often cut their costs by working with the least expensive subcontractors available at the time. Although this can be a good business practice, more often than not it will cause significant problems. Some subcontractors reduce their prices by using less-expensive, lower-quality materials. Or they work for low rates but keep many jobs going at once to compensate, which can create problems with scheduling and workmanship. If this kind of subcontractor is offered a better paying job before he finishes his work on your house, he may rush to finish or simply leave the work undone. When the GC hires subcontractors at the prevailing rates, this scenario is less likely to occur. A subcontractor who works for a low rate is not going to be enthusiastic about standing behind it after he has been paid. He may believe that since he gave you more than you paid for, he is justified in cutting corners when it comes to honoring a warranty. A good subcontractor includes a small amount of money in his fee to cover return visits to your home so that he can get the job right. When he is paid a fair wage, he is more willing to come back as many times as needed to honor his contract. GCs and subcontractors who avoid charging low fees are more likely to stay in business. They have earned a good reputation and are likely to work hard to maintain it. Their ability to earn a consistent profit means that they can afford to provide customers with the warranty service they deserve. Another possible explanation for a low estimate from a GC is that he made an honest mistake. It is more common for a GC to make a substantial mistake than a modular dealer. A dealer may need to add only three prices together – the costs of the manufacturer, crane, and set crew – to determine the cost of his homes. A GC, on the other hand, may have to identify a few hundred costs for his labor and materials. If you receive one very low bid, ask the GC to explain the discrepancy. If it is due to an honest mistake, give him the chance to correct it and submit another estimate. You might be tempted to take advantage of the GC and lock him into his low bid, but that approach is likely get both of you in trouble.